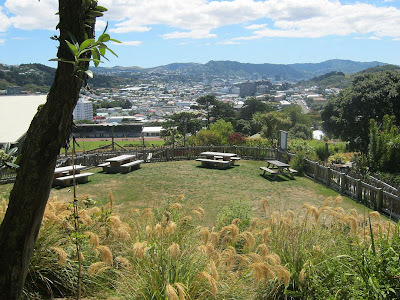 This picnic area is a part of the Wellington Zoo, and beyond is the Wellington suburb of Newtown. I like this one Dave. A good distance shot with the tree trunk making a nice frame.